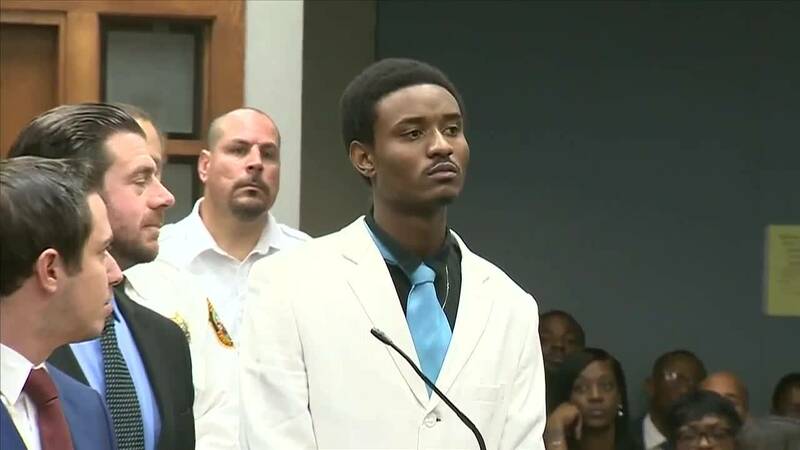 MIAMI-DADE COUNTY, Fla. - A teenager who was cleared of charges two years ago in connection with the fatal shooting of a rabbi in northeast Miami-Dade has filed a lawsuit against the Miami-Dade Police Department and a detective assigned to the case. According to a close-out memo, prosecutors said there wasn't enough evidence to prove without a doubt that De'Andre Charles was guilty of the Aug. 9, 2014, killing. Charles' family and attorneys told Local 10 News in January 2017 that they knew he would be vindicated. "I don't really have any animosity against anybody right now," his mother, Blair Charles, said. "I'm just glad that my son is home with me, and I'm just happy." De'Andre Charles was arrested in 2015 on charges of first-degree murder and armed robbery. Initial evidence that was uncovered by authorities included Charles' partial DNA profile on firearm pieces recovered at the scene and cellphone records that placed one of the then-14-year-old's phones at the cellphone tower closest to the scene. However, prosecutors said that DNA was the main piece of evidence and a change in lab protocols forced analysts to conclude that Charles "cannot be included or excluded from the DNA mixture found on the firearm parts," the memo said. Police said Rabbi Joseph Raksin, 60, was targeted in an attempted robbery while walking to a synagogue. Witnesses told detectives that there were two possible gunmen. Charles' lawsuit claims that authorities were eager to make an arrest in the case because of the publicity and calls from elected officials to get justice for the victim's family. That, in turn, "created a working environment that became the moving force behind the grossly negligent or deliberately indifferent investigation conducted by Defendant, Detective Michael Brajdic, causing the false arrest, false imprisonment and malicious prosecution of the plaintiff, and violating the plaintiff's Fourth and 14th Amendment rights," the lawsuit states. The lawsuit seeks a jury trial and asks for "all compensatory damages reasonable under the circumstances, including mental anguish and emotional distress (and) loss of enjoyment of life." A spokesperson for the Miami-Dade Police Department declined to comment to Local 10 News on the pending litigation.